Three Recent UVA Grads Land $40,000 Rotary Scholarships to Study in the U.K.
Three recent University of Virginia graduates will continue their studies this fall in the United Kingdom with Rotary Global Grants of $40,000. 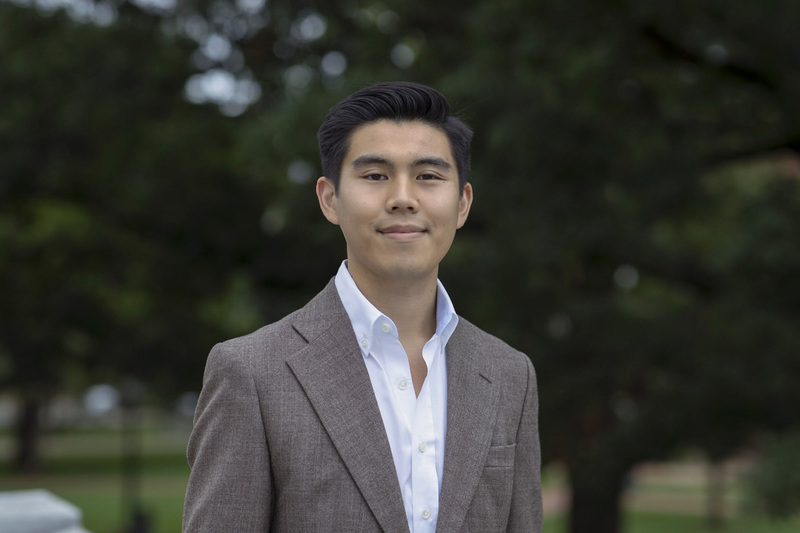 Kevin Cao of Fairfax, who in May earned a master’s degree in commerce from the McIntire School of Commerce and a bachelor’s degree in global development studies from the College of Arts & Sciences, will pursue a master’s degree in comparative and international education at the University of Oxford. Tim Ford of Denville, New Jersey, another May graduate, will pursue a master’s degree in Latin American studies at the University of Cambridge. With his double major, Ford focused on finance, management and global commerce at the McIntire School of Commerce and Spanish at the College of Arts & Sciences, adding a minor in economics. 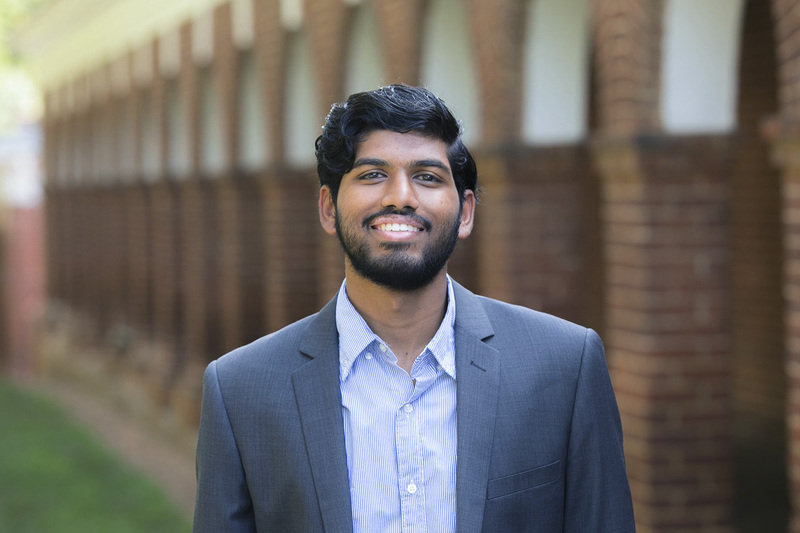 David Varghese of Centreville, a 2018 graduate with a bachelor’s degree in global development studies and a candidate for an accelerated Master of Public Policy degree from the Frank Batten School of Leadership and Public Policy, plans to pursue a Master of Public Health degree at Imperial College London. The Rotary Club of Charlottesville nominated the students, who then were selected by a district committee. The scholarships are intended for students who do not already have an immediate or family connection to Rotary. Global grant scholars must be pursuing a career in one of six areas Rotary supports: peace and conflict prevention/resolution; disease prevention and treatment; water and sanitation; maternal and child health; basic education and literacy; or economic and community development. Christopher L.W. Elliott, president of the Rotary Club of Charlottesville and assistant dean of global affairs and director of the Center for Global Commerce at UVA’s McIntire School of Commerce, said the three scholars are an inspiration to students committed to making an impact on their world. He said the scholars will connect with a wider global network of Rotarians in the communities where they will reside and continue their progress through graduate programs. 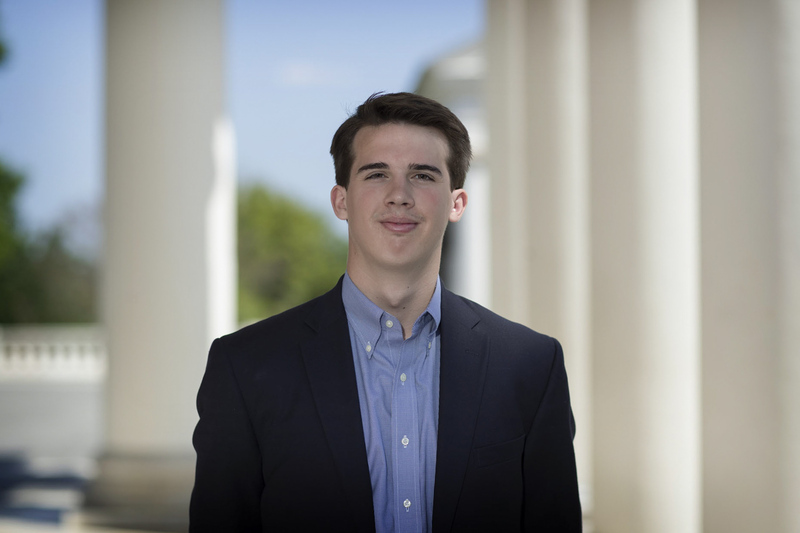 A Jefferson Scholar and an Echols Scholar at UVA, Cao was also a 2017 Meriwether Lewis Fellow. He was a researcher for Engineering Students Without Borders, a project leader for Student Entrepreneurs for Economic Development, a Latino and Migrant Aid volunteer for Madison House, a tour guide for the University Guide Service and a core group leader for Chi Alpha Christian Fellowship. He also participated in the Clinton Global Initiative University. He received a Raven Society Scholarship, a College Council Minerva Award, a Center for Global Health University Scholarship and a Jefferson Public Citizen grant. He is a graduate of the Thomas Jefferson High School for Science and Technology in Alexandria. Harris also said Cao improves the learning experience for students around him. “I am humbled to be presented with this scholarship, grateful for the opportunity to partner with Rotary International in advancing education equity and thankful for the unwavering support from my professors, mentors, family and friends,” Cao said. Bill Wilkerson, an associate professor of management at the McIntire School of Commerce, taught Ford in classes dealing with international business issues. An Echols Scholar, Ford received McIntire’s Henry R. Odell Award and the Lenox-Conyngham Scholarship. He was a member of the Raven Society, Beta Gamma Sigma Business Honor Society, Sigma Delta Pi Spanish Honor Society, Madison House, Pi Kappa Phi fraternity, the McIntire Young Alumni Council and the Virginia Team Handball Club. He was project director for Student Entrepreneurs for Economic Development and a resident assistant for two years for UVA Housing and Residence Life. A graduate of Morris Knolls High School, he wants to work in Latin America on venture capital. “Venture capital can bring investments to under-served entrepreneurs with great ideas, helping them spur economic growth and job creation in their communities,” he said. Michael Atchison, a professor of commerce at the McIntire School, said that Ford participated fully in his experience at UVA. As Ford studies at Cambridge, he plans to use some of his scholarship money to travel to Latin America to conduct primary research for his thesis. Varghese’s research focuses on the prevention and treatment of mental illness – specifically eating disorders, which he said claim the highest mortality rate among psychiatric illnesses. A Meriwether Lewis Fellow, Varghese served on the University Judiciary Committee and was a member of Chi Alpha Christian Fellowship and a volunteer at HelpLine. He also participated in the Clinton Global Initiative University. A graduate of Centreville High School, he plans a career in medicine involving global development and health equity. Allen W. Groves, associate vice president and University dean of students, mentored Varghese as part of the Meriwether Lewis Institute, a program for 25 students selected after their second year of study in which each student is tasked with developing a topic of interest for intellectual exploration. He said the program in London would advance his research.